Now, bear in mind that the highest resolution of any iBook is 1024×768, and they were still current until 2006! All CRT iMacs were 1024×768, as were the original “potted plant” (flat panel) iMacs. 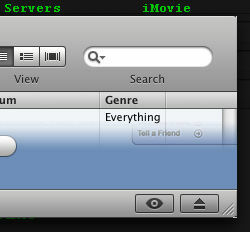 Apparently Apple have never tried running iTunes 6 (as shipped on the Tiger DVD) on a single 1024×768 machine. In my case, I had resized the window slightly and the arrow was pointing at the eject button. Without thinking, I had tried to click that button to make the not-quite-MiniStore go away; my iMac is slot-loading, so nothing happened, and I just cursed iTunes for not working. Further attempts as time went by still proved futile in ridding it of that annoying MiniStore pane. In a sense, it has – Apple have scrapped the ambiguous arrow, but also threw out the button that toggles the pane, making it hard to discover how to get rid of it at all! And it still doesn’t fit into the space provided. 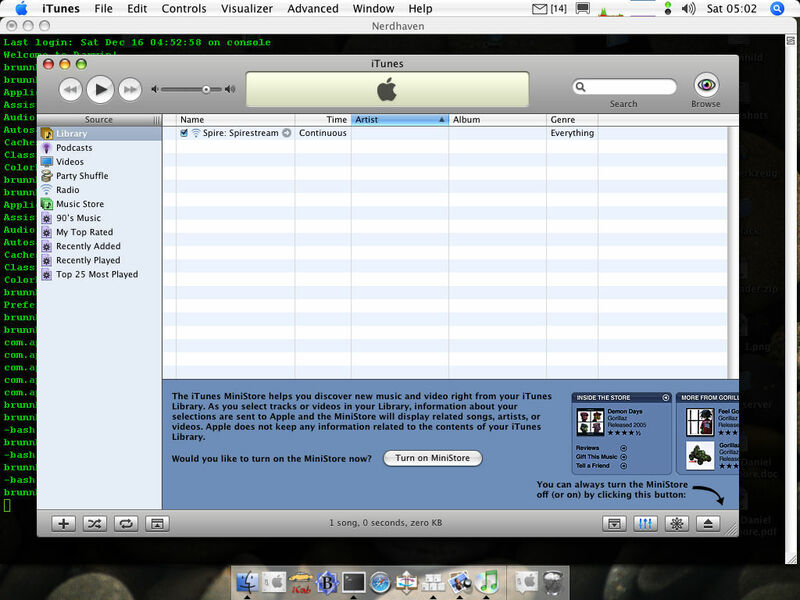 Note that in both cases (iTunes 6 and 7) I deleted my iTunes settings to ensure that I got the default window position and size. Obvious, eh? 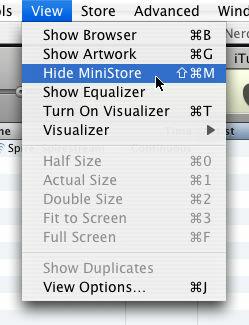 Especially since I am asking to hide the MiniStore that technically I never opened to begin with. Weird. Moving the window triggers the appearance to correct itself, however. Posted 18th December 2006 – Comments and questions?